Newton Creek Spring Stewardship Field Day is the Council’s flagship outdoor education program, held annually each spring. It is based upon principles of place-based, experiential learning to foster student understand of the natural world. It began as a collaboration between Philomath High School and Middle School, plus Marys River Watershed Council and The Freshwater Trust. 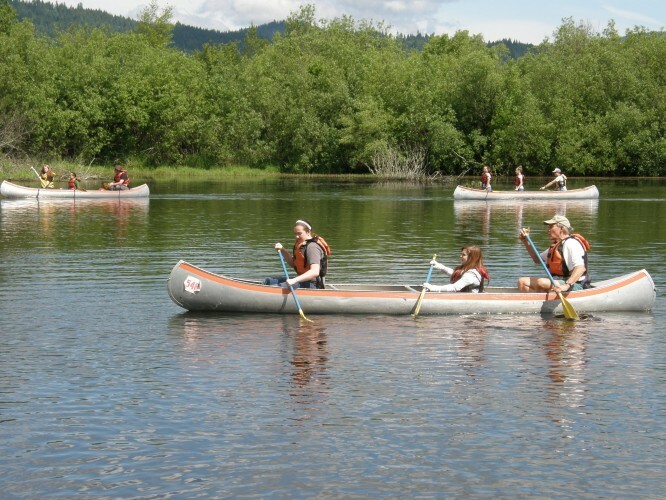 Philomath High students serve as peer teachers, engaging middle school students from Philomath and visiting schools at a series of stations looping through Newton Creek wetlands — wildlife, ethnobotany, invasive plant control, wilderness survival, log scaling and beaver ecology from the seat of a canoe! Funders include Oregon Community Foundation Gray Family Fund, Trust Management, Willamette Habitat Restoration Fund, Starker Forests, and generous individual donors.